Neighborhood News is a platform for publishing community happenings, including notices of meetings, programs, events and activities by and for local, regional, and state non-profit organizations and governmental entities. Articles are published free of charge; courtesy of Oneida Broadcasters, Inc. and our many advertisers. Submit articles for publication via: U.S. Mail: Neighborhood News, P.O. 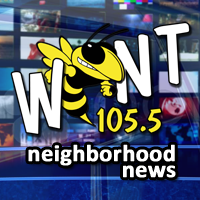 Box 4370, Oneida, TN 37841-4370; fax: (423) 569-5572; or email: neighborhoodnews@wbnt.com. Sometimes getting there is half the challenge. The American Cancer Society’s Road to Recovery program helps cancer patients find a ride to their treatments. For more information, call the Scott County Mayor’s Office at (423) 663-2000. The Tennessee Drivers’ License Service Center in Huntsville has relocated to the Scott County County Court Clerk’s office inside the Scott County Courthouse. The center is now open Monday through Friday, 8:00 a.m. to 4:30 p.m. For more information, you may contact the office at (423) 663-9555. The local center can renew and make duplicates of existing Class D drivers licenses and photo IDs.